Badminton in Dilsukhnagar, LB nagar. 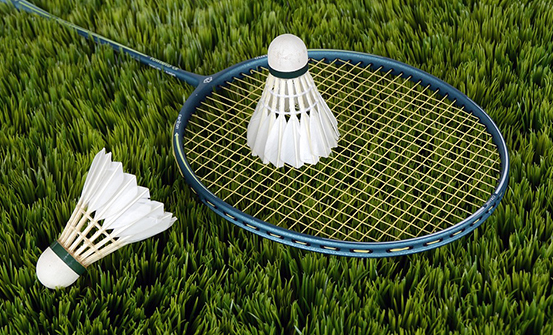 Our Badminton court is fully equipped with modern facilities and sports equipments. We have highly skilled trainers to deliver a great quality badminton training to the students at V Sports Academy. Badminton in dilsukhnagar court is among some of the most evolved sports training at V Sports Academy. Badminton in LB nagar has been an Olympic sport with five events: men’s and women’s singles, men’s and women’s doubles, and mixed doubles, in which each pair is a man and a woman. This is at the tournaments since 1992. At professional levels of play, the sport demands excellent fitness: players require aerobic stamina, agility, strength, speed, and precision. It is also a technical sport, requiring good motor coordination and the development of sophisticated racquet movements. International Standard Indoor Courts that offer a great platform for better hold in the sports. Cushioning Wooden Flooring along with Li-Ning 4.5mm Synthetic Matt. International Standard Strip, LED lighting. Individual changing rooms with showers available. Heat protection, Insulation on Top ceiling & all 4 sides. Fresh Air flow Ducts for fresh air in surrounding and to avoid suffocation. 150 Seat capacity indoor Stadium. In future, Locker facility, Inverter for power Back-up to provide hassle free sports & practice sessions will be available.